Joe is proud to call Original Hooters a daily supporter of JoeBucsFan.com since 2011. 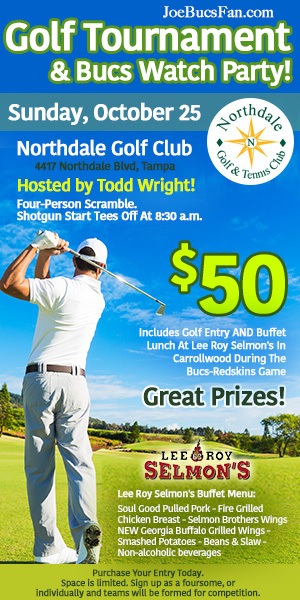 Click below to find the Tampa Bay area location nearest you. 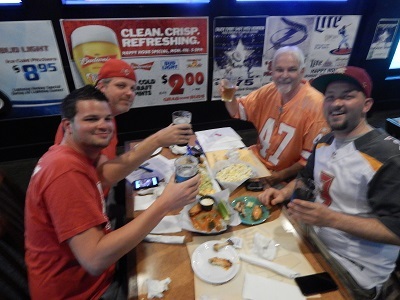 It’s always a great gameday experience at Hooters! It was a hell of a night at DRAFT PICKS for Joe’s 2016 NFL Draft party. 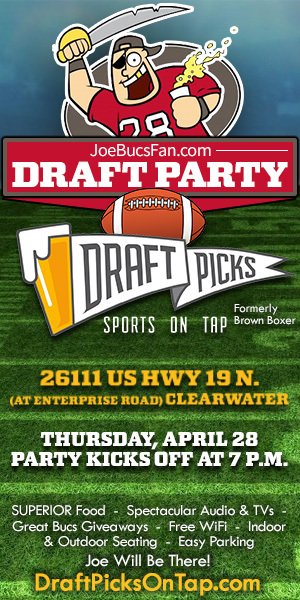 The night rolls on at Joe’s 2016 NFL Draft party at Draft Picks in Clearwater. 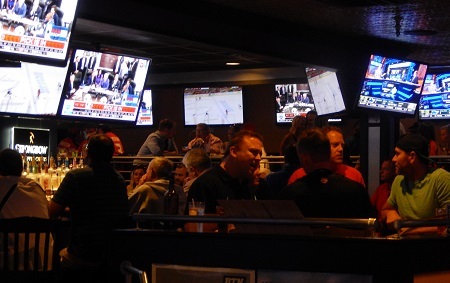 View of west side of bar. 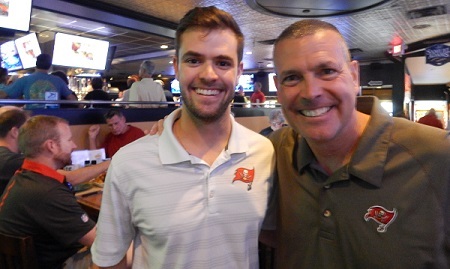 Winners of the “I Love Steve Duemig” contest at Joe’s 2016 NFL Draft party at Draft Picks in Clearwater. 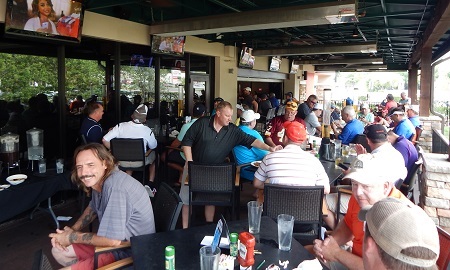 This sold out bash was part of Joe’s first golf event followed by a Bucs watch party! Thank you for your support! Nothing like more than 60 Bucs fans off the golf course and mowing down BBQ during a game. 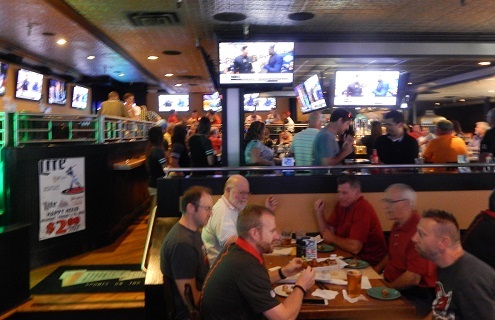 October 2015 Redskins-Bucs watch party at Lee Roy Selmon’s in Carrollwood, now Glory Days.